Chen Xu, director-general of the Department of the European Affairs of the Ministry of Foreign Affairs gives an opening speech. Dagfinn Høybråten, secretary-general of the Nordic Council of Ministers, delivers remarks. China's figure skating pair Sui Wenjing (second from left), Han Cong (third from left) and the Finnish Ambassador to China Jarno Syrjälä (behind) draw for grouping the teams at the opening. 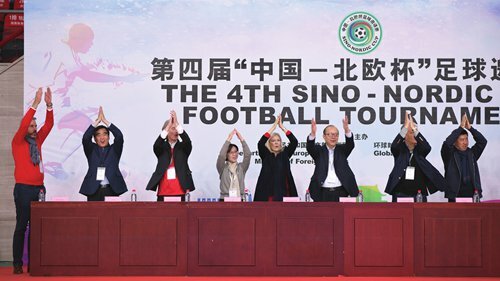 Some distinguished guests join in the shouting and applauding of Iceland's Viking clap led by the Icelandic Ambassador to China at the opening of the tournament. The Danish representative team wins the championship. Finnish and MFA team players compete on the pitch. A Norwegian player (front) dribbles through defenders. 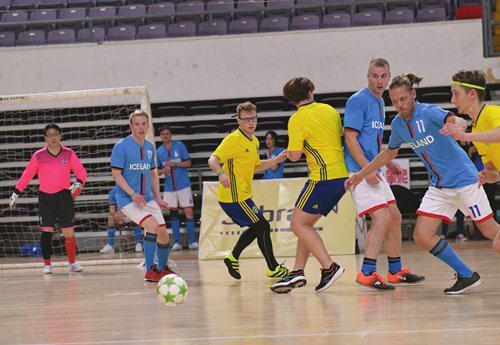 Icelandic and Swedish team players pass the ball. Danish and CFA players steal the ball. 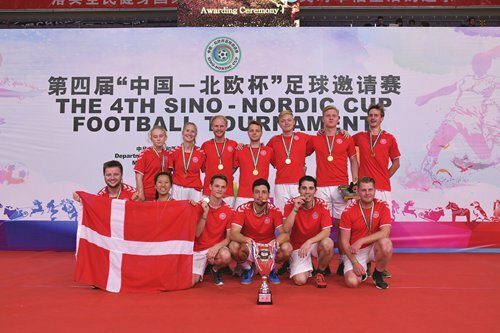 After an intense competition, the 4th Sino-Nordic Cup Football Tournament successfully came to a close at the National Olympic Sports Center on Saturday, and the team of the Danish Embassy in Beijing seized the championship. 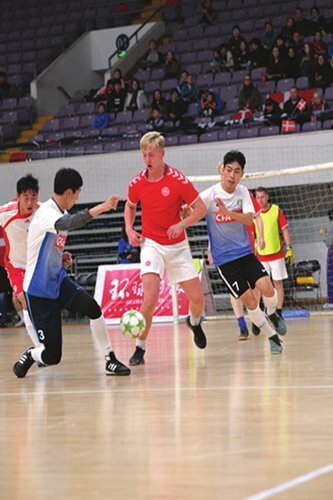 The eight teams included the Ministry of Foreign Affairs (MFA), the Chinese Football Association (CFA), Beijing Sport University (BSU), and five Nordic embassies in China. 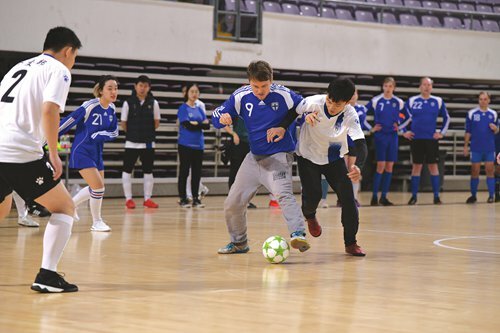 Hosted by the Department of European Affairs of the MFA and the Global Times, this has been the fourth consecutive year for the Sino-Nordic Cup Football Tournament. The aim of the tournament is to build friendships through football and boost the friendly interaction between China and the Nordic countries. 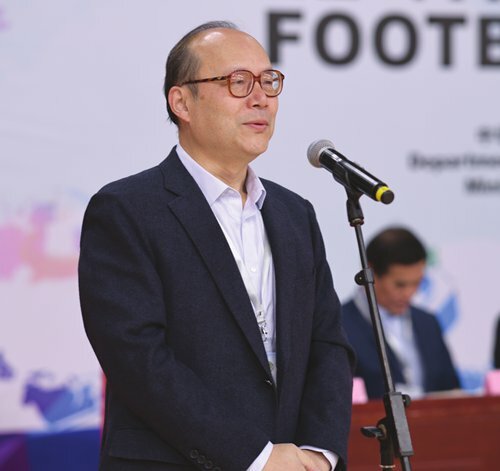 On behalf of China, director-general of the Department of the European Affairs of the MFA Chen Xu attended the opening ceremony and gave a speech. 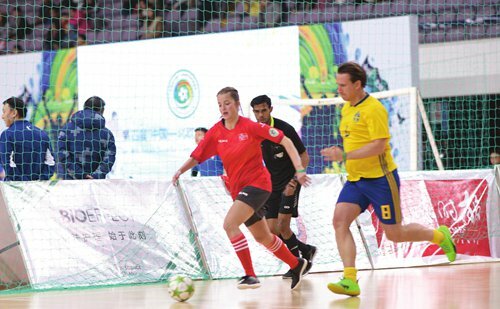 "Over the years, China and Nordic countries have extended a wide range of cooperation in football, with several outstanding coaches from the Nordic countries coaching on Chinese national football teams and Nordic players playing in Chinese professional football leagues, making active contributions to the development of Chinese football, and leaving good memories of sports exchanges between China and the Nordic countries," Chen said. He also said the 2022 Beijing Winter Olympic Games will provide great opportunities for bilateral cooperation. Dagfinn Høybråten, secretary general of the Nordic Council of Ministers, also attended the opening and delivered remarks. In his remarks, Høybråten stressed that soccer is a world sport as well as an aspect of the world that is getting increasingly interconnected. "Beijing will be the first city in the world to host both the summer and the winter Olympic Games. As a native of a Nordic country that has fanatic interests in winter sports, I am looking forward to following the Winter Olympic Games in Beijing in 2022 and I am sure the game will be a great success," he said. To celebrate the China-Finland Year of Winter Sports in 2019, the Finnish Ambassador to China Jarno Syrjälä, together with 2018 Pyeongchang Winter Olympics silver medalists Sui Wenjing and Han Cong, drew for grouping the teams. 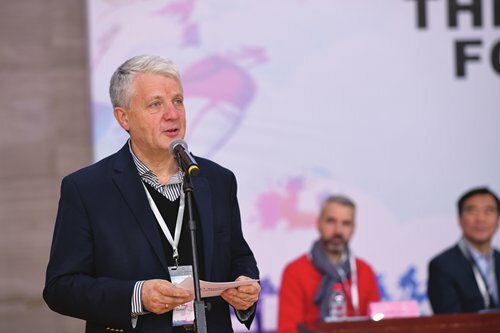 Meanwhile, the Icelandic Ambassador to China Gunnar Snorri Gunnarsson led all the participants and audience to perform Iceland's famous Viking clap at the opening, marking the first "official" Icelandic Viking clap scene in China.